The Build Your Own V-style Sail Rig! Get sailing today! 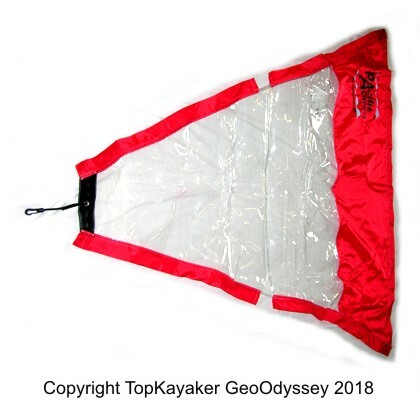 Do-It-Yourself kayak sails! 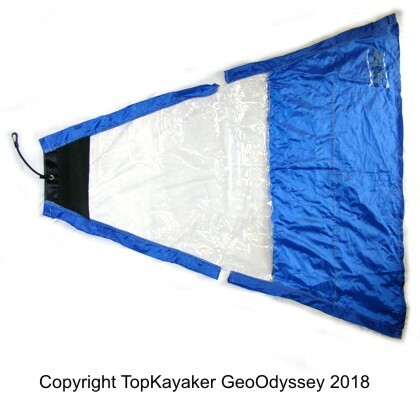 Make masts from easy to find PVC pipe and wood dowels, use hardware from our TopKayaker shop and slip on the pre-sewn sailcloth. 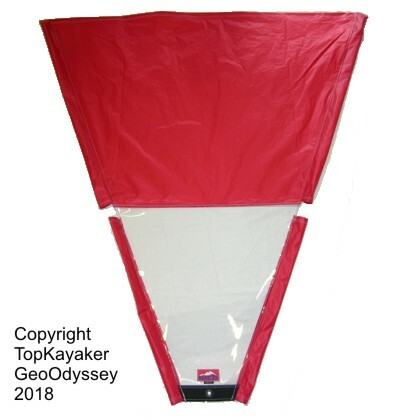 Set it up on your kayak and you are ready to sail! See the video showing the JNR sail in action. 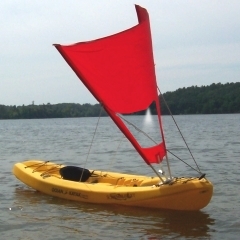 See instructions here: Do It Yourself Kayak Sail Instructions. Instructional Videos at Links Below, in Four Parts. Use in concert with online article above. Part 1 of 4 - Part 2 of 4 - Part 3 of 4 - Part 4 of 4. Special thanks to John Royals. Additional hardware; strap eyes, web strap, cordage, rivets, well-nuts, ny-lock nuts and stainless steel machine screws are available in our Kayak Parts, Rope, and Hardware sections and in our Rigging Supply department for sailors.